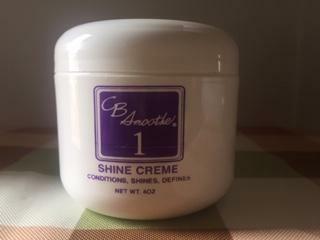 C B Smoothe Offers a complete line of Unique Ethnic Salon Relaxers, Shampoos, Conditioners , Styling and Maintenance products for ALL types of hair at prices that wont break the bank!!! C.B. Smoothe 24K Oil is a special blend of 17 Precious soothing Botanicals and natural oils needed to protect and maintain healthy hair, skin and scalp. For Hair: 24K oil is a light scented hair designed to give extra shine to hair and protection from moisture and humidity and can be used for daily styling., Pre-Shampooing Oil treatment or for a Hot Oil Treatment !!! 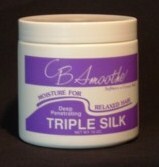 Add a few drops to Triple Silk Conditioner for additional benefits of your conditioner experience. 24k Oil can be used to cleanse your skin and moisturize and soothe the scalp .24k oil leaves no greasy build up so it can be used daily !! the art of relaxing to give you total control every step of the way. The professional's choice for beautiful silky hair. Available in Mild , Regular and Super strength. 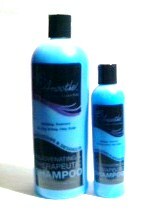 16oz size only comes in( Regular strength)-- for medium to coarse hair. Silk Protein Hold & Shine Designing Spritz is a medium holding non-drying spritz enriched with silk protein for added luster. It will not build up on hair. 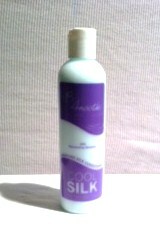 It leaves your hair soft, silky and shiny !!! . To apply hold 6-8 inches from hair to spray. It shampoos out easily. 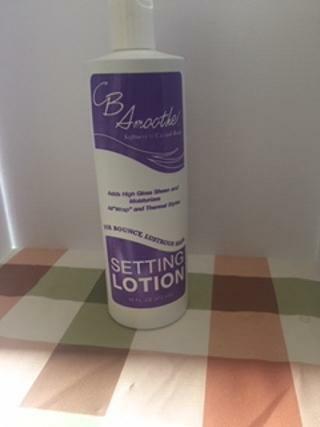 It is a Versatile Sculpture Lotion for Body and Bounce and Glossy Sheen. Ideal for Wraps. Our Hair Milk is infused with Coconut Oil , Coconut Milk, Silk Protein, Shea Butter, Avocado Oil and other Essential Oils. 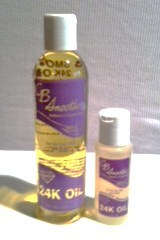 Keeps hair detangled and conditioned while adding body and shine. Coconut Hair Milk can be used for Twist styles and will keep hair hydrated all day long. 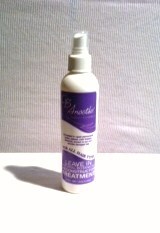 Reduces breakage and protects against heat damage. Directions : Rub small amount in palms and distribute evenly throughout hair. Best used on damp hair. 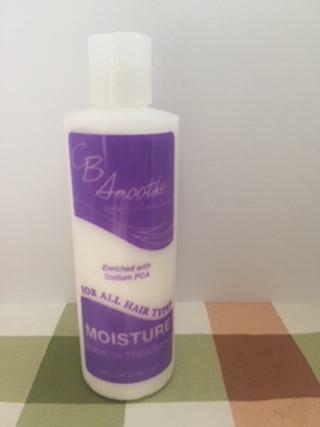 CB Smoothe Shine Creme enriched with protein adds moisture to hair. Can be used on wet or dry hair. Recommended for Press and Curls also. 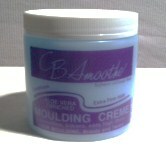 CB Smoothe Shine Creme is a great daily moisturizer, blow drys hair soft and shiny. It can be used to protect ends from heat damamge, works on Natural or Permed hair and yet its light and won't weigh hair down. A little goes a long way. Apply a small amount. For faster penetration cover head with a warm towel. The wax gives hair control for styling. Use for problems of hair damage and hair loss that are the result of chemical relaxers. 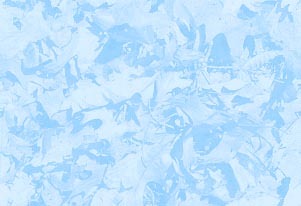 Can also be used for hot curling and pressing and to protect the hair from the thermal process. Braids, Twists & Dreads : The wax gives holding power & shine for all types of hair. Use to mold & sculpt in desired style. 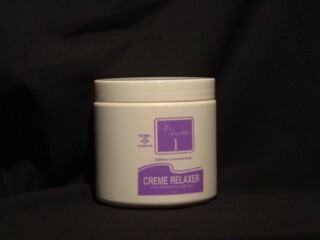 Enriched with African Shea Butter and Vitamin E, C.B. 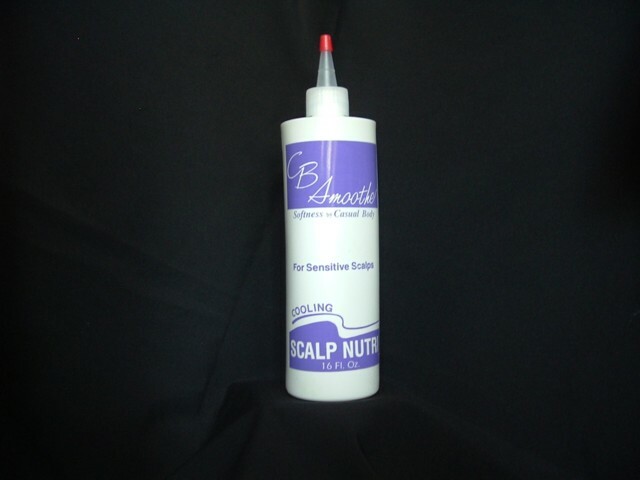 Smoothe Scalp Theraphy contains oils to assist in soothing scalp damage due to chemical processing and weathering and in restoring moisture balance to dry, brittle hair. 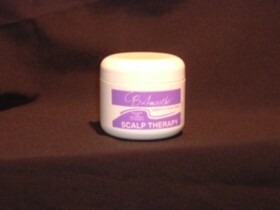 Daily use will help to relieve dry, itchy scalp and helps promote healthy hair. For Dry & Itchy Scalp It Works Wonders !!! CB Smoothe Leave-In Detangling Conditioner is recommended to eliminate dryness,brittleness,and limpness; and isespecially good on over-processed , dull hair. 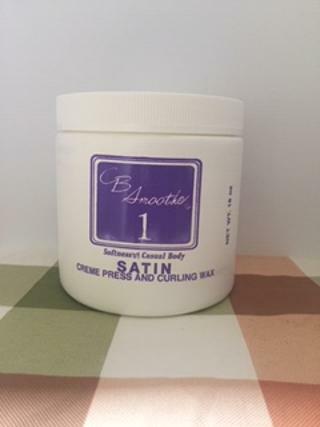 It penetrates the hair shaft quickly while detangling and adding sheen making it excellent for fine ,limp hair and ideal for wraps and roller sets. 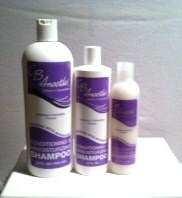 Instructions for use: Shampoo and Condition hair thoroughly with CB Smoothe products. Towel blot hair and apply CB Smoothe Leave-In Detangling Conditioner over entire head. Distribute evenly through the hair. Do not rinse. Style as desired.